The next Twitch Prime PUBG giveaway is getting close. The 3rd set that you might get is a Jungle Set Crate which has 8 different items in it, including 5 clothe skins and for the first time, a 2 additional weapon skins. However, this crate is not yet officially announce on the giveaway page, these information was leak from a game data mining site. It confirms that this is the jungle set crate because of the Twitch logo and color combination on the explorer helmet and bandana. Note: This is for PUBG PC only (Steam version) and not for the PUBG mobile. For you to get this Jungle Set Crate, you need to subscribe to Amazon Prime in which you’ll automatically get access to Twitch Prime. Currently, the SPA Day crate are still up for grab in Twitch Prime loot giveaway, so if you haven’t get it, grab it now before it is gone. Same on the previous crate giveaway, these items are not tradable nor marketable. You can only redeem this crate in your account. For those who already subscribe to the Twitch Prime, you’ll automatically get this new crate in your PUBG account. If not, you can subscribe to Twitch Prime using the free trial of Twitch Prime giveaway and you can use your debit/credit card to subscribe. Some folks, are also using a dummy card and a VPN that has United States IP Address to get the subscription for free. Download and Install Avast Secureline VPN or your favorite VPN. Start the free 7 day trial and change the location to the United States. Now, you may go to Twitch.tv and login your Twitch account. Click the Try Prime button on the upper left corner of the page. Select your Country and pick United States. After that, it will ask you to login your Amazon Account. Once you’re logged-in, It will asked you to Subscribe to Amazon Prime. Just press Continue for now to integrate your Twitch account. It will ask you to confirm your Password again, just fill up and click Sign In. Now, link your Twitch Account by pressing Continue. This time, it will ask you to subscribe for the 30-day free trial of Amazon Prime. Click the Add card. You can get a dummy Prepaid Credit Card here. Enter this to pattern (BIN) 473702907xxxxxxx. Check add random expiry date and click Generate. Once completed, copy the details and fill it up on the Card form in Amazon Prime. Click Next to proceed on adding an Address, you may generate a dummy here. Copy the details and once done, click Save this address. (It will show an error, saying There was a problem error), just press Save this address again to complete. After that, press the Start your free Trial. Now that you’re subscribe to the Amazon Prime, press the Sign In button. Then on Claim your free loot, press the See Loot button. Select your Country (United States), and click the Start your 30-day Free Trial to Claim Now button. Now authorize Twitch Prime to your account. Just click the Authorize button. You can now get the loot by clicking the Claim Your Loot Now. Twitch button on the upper right corner and login your Twitch account. Now that you’re already subscribe, you just need to wait for the release of the Jungle Crate. For now, you’ll get the SPA Day Crate. The next Twitch Prime PUBG giveaway is getting close. The 3rd set that you might get is a Jungle Set Crate which has 8 different items in it, including 5 clothe skins and for the first time, a 2 additional weapon skins. However, this crate is not yet officially announce on the giveaway page, these information was leak from a game data mining site. It confirms that this is the jungle set crate because of the Twitch logo and color combination on the explorer helmet and bandana. 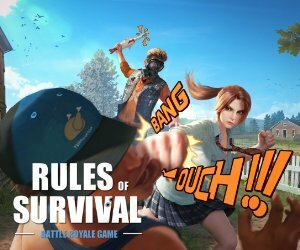 Note: This is for PUBG PC only (Steam version) and not for the PUBG mobile. For you to get this Jungle Set Crate, you need to subscribe to Amazon Prime in which you'll automatically get access to Twitch Prime. Currently, the SPA Day crate are still up for grab in Twitch Prime loot giveaway, so if you haven't get it, grab it now before it is gone. Same on the previous crate giveaway, these items are not tradable nor marketable. You can only redeem this crate in your account. List of Items in Jungle Set Crate Leopard Print Vest Leather Boots Explorer Helmet Colonial Coat Pilok Knickers Tiger Print Bandana Croc Bite - M16A4 Bengal Blade - SCAR-L For those who already subscribe to the Twitch Prime, you'll automatically get this new crate in your PUBG account. If not, you can subscribe to Twitch Prime using the free trial of Twitch Prime giveaway and you can use your debit/credit card to subscribe. Some folks, are also using a dummy card and a VPN that has United States IP Address to get the subscription for free. How to Get Jungle Set Crate in PUBG using a Dummy Credit Card Download and Install Avast Secureline VPN or your favorite VPN. Start the free 7 day trial and change the location to the United States. Now, you may go to Twitch.tv and login your Twitch account. Click the Try Prime button on the upper left corner of the page. Select your Country and pick United States. Then press Continue. After that, it will ask you to login your Amazon Account. Once you’re logged-in, It will asked you to Subscribe to Amazon Prime. Just press Continue for now to integrate your Twitch account. It will ask you to confirm your Password again, just fill up and click Sign In. Now, link your Twitch Account by pressing Continue. This time, it will ask you to subscribe for the 30-day free trial of Amazon Prime. Click the Add card. You can get a dummy Prepaid Credit Card here. Enter this to pattern (BIN) 473702907xxxxxxx. Check add random expiry date and click Generate. Once completed, copy the details and fill it up on the Card form in Amazon Prime. Click Next to proceed on adding an Address, you may generate a dummy here. Copy the details and once done, click Save this address. (It will show an error, saying There was a problem error), just press Save this address again to complete. After that, press the Start your free Trial. Now that you’re subscribe to the Amazon Prime, press the Sign In button. Then on Claim your free loot, press the See Loot button. You’ll be redirected now to the Twitch website. Now, go to https://twitch.amazon.com/prime/loot/pubg Select your Country (United States), and click the Start your 30-day Free Trial to Claim Now button. Now authorize Twitch Prime to your account. Just click the Authorize button. You can now get the loot by clicking the Claim Your Loot Now.There will be additional instruction How to Get your loot in PUBG. To get your loot to your PUBG account, just open your PUBG and press the Twitch button on the upper right corner and login your Twitch account. Now that you're already subscribe, you just need to wait for the release of the Jungle Crate. For now, you'll get the SPA Day Crate.